The unproven health claims behind supplement sales. “It’s good for all sorts of sicknesses as well so, you know, if you have cancer and things like that it’s not going to feed it.” That was the advice we got at a Wellington health-food store. The miracle ingredient in the product was colostrum, supposedly “good” for almost any ailment according to the sales assistant. Colostrum is the first milk produced by mammals for their newborn offspring. The stuff found in health supplements and other products is usually sourced from cows. It’s been touted as a panacea for various maladies but hard evidence of the benefits from taking colostrum as a daily supplement hasn't emerged. Advice about cancer and colostrum wasn’t the only dubious information on offer when we visited Wellington health-food stores. Many of the claims we found on supplement labels have been outlawed in the EU because they can’t be substantiated. Since 2012, only pre-approved health claims have been allowed on products there. The EU law change has seen hundreds of claims struck out. Over 2000 are on a no-go list. Lax regulation here means there’s little to stop the same claims turning up. Both supplements have been hailed as beneficial for osteoarthritis. Product labels claim the pills will “ease joint pain”, “rebuild cartilage” and are “scientifically proven”. However, conclusive evidence either supplement provides a measurable health benefit remains lacking. 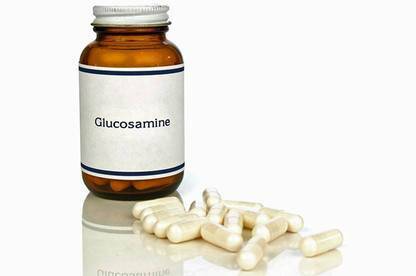 Studies of glucosamine have shown conflicting results. The National Center for Complementary and Alternative Medicine, a US government research agency, reports the majority of research has found little effect of the supplement on joint damage. According to the agency, the best studies of chondroitin have also failed to show it’s helpful for relieving pain. The European Food Safety Authority, which approves health claims that can be used in the EU, hasn’t given the green light to claims for glucosamine or chondroitin. On the basis of the evidence assessed for joint health, the authority found a relationship hadn't been established between taking the supplements and beneficial outcomes for the general population. It specifically ruled out claims glucosamine “may help to maintain healthy joints” and “helps maintain cartilage”. Astaxanthin was another miracle supplement we heard about from sales staff. One sales assistant told us enthusiastically that astaxanthin was “really, really good”. She said it was “really good for healthy aging … really good for eye health, for fighting free radical damage, and for … sun health”. Astaxanthin is a carotenoid pigment found in marine phytoplankton. Lab studies have shown it has antioxidant properties, sparking interest in it as a health supplement. But EU rule-makers concluded studies haven’t shown any protective antioxidant effect in humans. Claims the supplement “helps to protect against free radicals” have been blacklisted, along with claims that it “supports anti-aging”, “supports the eyes” and “supports skin structure during sun exposure”. Several supplements were promoted by sales staff as effective pain relievers and “natural” anti-inflammatories. One of them was MSM – methylsulfonylmethane – marketed as a treatment for arthritis. MSM was variously described by staff as “a natural sulphur based anti-inflammatory”, “a really powerful anti-inflammatory agent so it’s really good for pain”, and an aid for “lubrication and movement”. There’s no reliable scientific research to support these claims. The National Center for Complementary and Alternative Medicine states only a small amount of research has been done on MSM and no conclusions can be made on whether or not it’s beneficial for arthritis. The European Food Safety Authority has rejected claims for MSM, finding no cause-and-effect relationship between taking the supplement and beneficial health outcomes for the general population. Sales staff were also enthusiastic about the benefits of probiotic supplements. Probiotics have been widely promoted as a remedy for digestion problems. Products claim to “maintain digestive health” and “restore the balance of good bacteria in the gut”. At one store we visited, the sales assistant recommended a probiotic supplement, explaining “the reason why it’s so good is that it’s got 57 different strains of bacteria … it’s got pretty much everything in this one.” It was a good choice “if someone is having issues, just to inoculate the system”. Studies suggest probiotics may be useful in some circumstances. A 2014 review by the Cochrane Collaboration (an international evidence-based health research network) found strong evidence probiotics reduced the risk to pre-term babies of a disease called necrotising enterocolitis. An earlier Cochrane Review also found moderate evidence that taking probiotics when you’re on a course of antibiotics can reduce the risk of developing antibiotic-associated diarrhoea. But there’s no good evidence of benefits for otherwise healthy adults from taking a daily probiotic supplement “just to inoculate the system”. The EU hasn’t approved any health claims for probiotic supplements, either because the claimed effect couldn’t be substantiated or wasn’t considered to be beneficial. Health supplements are a multi-million-dollar business, boosted by effective advertising and marketing campaigns. Figures indicate nearly half the population use these products, although some only occasionally (see “Daily dose”). The extent to which unproven claims have contributed to supplement sales can only be guessed. Legislation to clean up claims in the industry has been promised for years but it’s made slow progress. After a lengthy wait, the Natural Health and Supplementary Products Bill was finally introduced into Parliament in 2011. Three years later, it’s still waiting to be passed into law. The Bill will allow companies to make health claims for supplements provided there’s evidence to support them. A regulatory authority, yet to be established, will have the power to determine allowable claims. Details of what’s likely to be on the list – or if it will be any less stringent than EU rules – have yet to be released. Until the Bill is passed, the Dietary Supplement Regulations remain in force. On paper, the regulations prohibit therapeutic claims. But in practice, they’re not routinely enforced. The Ministry of Health has previously reported high levels of non-compliance. One review of website ads for over 12,000 products found just over half made claims in breach of the law. Penalties are also small: the maximum fine is $500. The failure to clamp down on supplement claims has let both manufacturers and retailers off the hook. At the shop-front, it’s also meant there’s been little incentive for retailers to ensure staff provide accurate information about the efficacy of the products they’re selling. Meanwhile, health claims have continued to outstrip the science. It’s possible some of the unproven claims may eventually be borne out by research. It’s equally possible they won’t be. Until there’s good evidence to support them, health claims shouldn’t be on the label. Consumers should be able to have confidence that product claims are based on fact. This isn’t the case for dietary supplements and effective regulation of these products is long overdue. If you’re spending money on supplements, don’t rely on the label claims. If you’re worried about your health, get advice from an appropriately qualified medical practitioner. The EU has rejected health claims for glucosamine and chondroitin supplements. There's no similar regulation of claims for these products here. 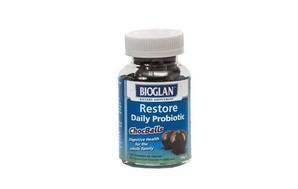 You could be forgiven for thinking Bioglan’s Restore Daily Probiotic is something you might find in the confectionery aisle. The main ingredient in this supplement is chocolate. But the label claims there’s also enough probiotics in the product to provide “digestive health for the whole family”. In the UK, Which? magazine reports Bioglan has changed its packaging to remove any health claims. The move follows the EU’s decision rejecting claims for probiotic supplements. Bioglan’s Auckland office told us it “regularly reviews any claims in line with local regulations and will address any changes if and when they apply”. Restore Daily Probiotic isn’t cheap: the jar we bought cost $24.99 for 150g. You may prefer to spend your money on regular chocolate: you can get the same quantity for less than $3. The Ministry of Health's Adult Nutrition Survey indicates 30 percent of Kiwis regularly take supplements. A further 17 percent are "occasional" users. According to the survey, the most frequently consumed supplements are oils, multi-vitamins and multi-minerals. Regular supplement users are more likely to be older. Women are more likely than men to buy these products. Sports supplements are the exception: they’re consumed more frequently by men than women. Most supplements are bought from supermarkets and health food stores, which industry figures show have around 50 percent of the natural health products market. Revenue from domestic sales of natural health products is estimated to be $230 million a year.